Summary: Actress Lizzie Pepper was America’s Girl Next Door and her marriage to Hollywood mega-star Rob Mars was tabloid gold—a whirlwind romance and an elaborate celebrity-studded wedding landed them on the cover of every celebrity weekly. But fame, beauty, and wealth weren’t enough to keep their marriage together. Hollywood’s “It” couple are over—and now Lizzie is going to tell her side of the story. 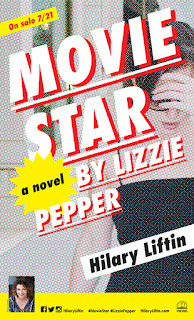 MOVIE STAR BY LIZZIE PEPPER written by Hilary Liftin was definitely on my radar this summer! It has been chosen by USA Today, People Magazine, Entertainment Weekly, Good Housekeeping, Cosmopolitan, and Vogue.com as a Great Summer Read; and if you're like me and enjoy juicy stories by the pool or waves, then this is the book for you! Author Hilary Liftin is an accomplished celebrity ghost-writer, and she uses her skills to create a fantastic "celebrity memoir" novel. After working as a ghostwriter on a few celebrity tell all books, the author decided that she wanted to write a "the celebrity memoir of my dreams." 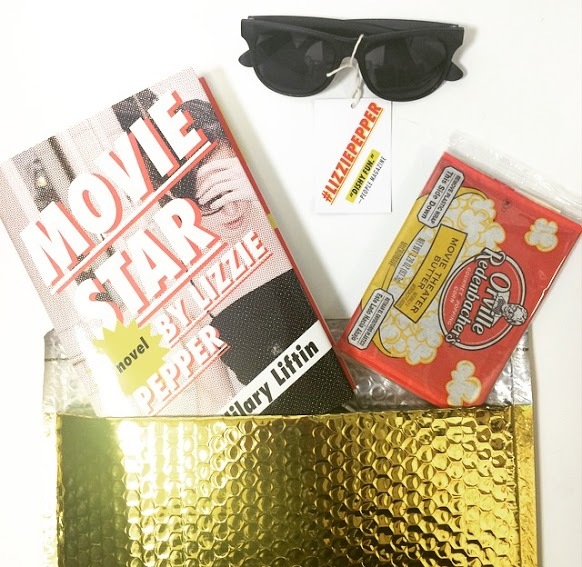 The result was this MOVIE STAR BY LIZZIE PEPPER. Young adult actress Lizzie Pepper was America's Girl Next Door who had a successful television series. However, it wasn't until she started dating one of the biggest Hollywood stars Rob Mars that she graced the cover of every tabloid magazine. Rob was about 20 years older than Lizzie and he said all of the right things to convince Lizzie that she was "the one." They had whirlwind romance, pregnancy and marriage; and life seemed perfect for the two stars; however, Rob was involved with One Cell Studio, a controversial mind-body studio. As Lizzie became more involved with One Cell, she became estranged from her family and friends. Lizzie discovers that fame definitely has its drawbacks and Rob might not be the man she thought he was. Lizzie begins to doubt her new life and marriage, and she decides that her future decisions have to be what's best for her twin boys. As she starts to "investigate" Rob's life, she makes some startling discoveries and learns that it's not going to be easy to escape from her world of money and fame. 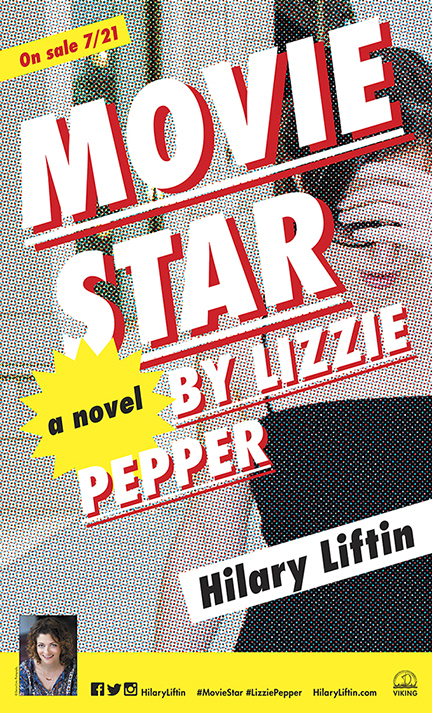 I have enjoyed my fair share of celebrity memoirs/tell-alls in my life, so MOVIE STAR BY LIZZIE PEPPER sounded fantastic. And I have to say that I really, really liked it. This is a fun book that gives readers an inside view into the lifestyles of the rich and famous which is exactly why I picked up this novel. However, it also has some interesting twists and turns which ending up surprising me. It was just a great escape book for the summer! If you read even part of the description, you know that this story sounds kind of familiar, right? I can honestly say that it was the closeness of the story to a larger than life Hollywood couple that appealed to me; and I would love it if that actress ever decided to tell her story. However, I'm not sure that's likely so I thought MOVIE STAR BY LIZZIE PEPPER was the next best thing. I am sure that Lizzie's story has a few more twists and turns anyway and made for a better story! 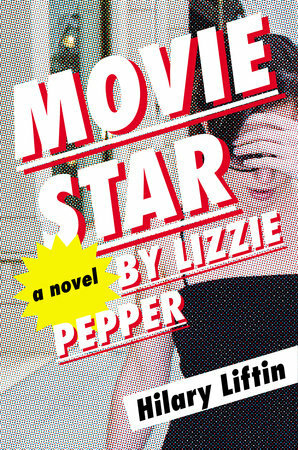 MOVIE STAR BY LIZZIE PEPPER is definitely a guilty pleasure, but a must-read if you love celebrity tell-alls. It's the perfect book for your summer beach bag! MOVIE STAR BY LIZZIE PEPPER goes on sale today; and thanks to the publisher, I have a copy along with some awesome goodies (a pair of branded sunglasses with a Lizzie Pepper hangtag and popcorn all packaged in a gold envelope) to share with one lucky reader. To enter, just fill out the form below before August 3rd at 11:59 p.m. EST. I will randomly select and notify the winner the following days. This contest is open to those of you with U.S. addresses only. Good luck! Hm, I wonder if that story's based on a well known actor? It sounds good and juicy to me! It does sound good! Would love to win it, but if not, I will definitely buy it! Sounds like a great read for summer! Thanks for the giveaway.